Clueso (pronounced [klyˈzo]; born April 9, 1980 as Thomas Hübner in Erfurt) is a German singer, rapper, songwriter and producer. Clueso, named after Inspector Clouseau in The Pink Panther, started making music in 1995. In 1998 he got to know his future manager Andreas Welskop and gave up his hairdressing apprenticeship. His first vinyl Clüsolo was released on BMG Ufa the same year. In 1999 he moved to the 10vor10-Studios in Köln with Welskop. 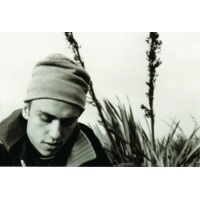 A year later he signed a label contract at Four Music and released Text und Ton in 2001. Around that time he performed with Curfew at the MTV HipHop Open in Stuttgart and at Beats for Life in Köln. In 2002, Clueso moved back to Erfurt and recorded the Rowdy-Club-Tape 2002. One year later, he started producing his second album Gute Musik, which translates to "good music"(featuring Blumentopf, Steer M, Tilmann Jarmer, Delhia, Tim Neuhaus and Jürgen Kerth), which will be finished by 2004. It does not contain any English tracks and concentrates on singing rather than rapping. In 2005, Clueso represented Thuringia with the song Kein Bock zu geh'n at the Bundesvision Song Contest. The same year he was the partner of Start Ab, the 'biggest non-commercial remix contest in Europe'. On May 19th in 2006, his third album Weit weg was published, where also the song Chicago was to be found. In conjunction with the STÜBAphilharmonie , a Thuringian orchestra,Clueso gave a concert in the Fritz-club in the former Postbahnhof in Berlin on February 3rd in 2007, where he performed his songs together with the orchestra and his band in an adaption for more than 70 instruments. This concert was also released on DVD, entitled Clueso Live or Clueso- Weit weg-Live. In May and June 2007, Clueso was the opening act of Herbert Grönemeyer's 12-Tour and in the same year he was nominated by 1 live for the 1 live radio listener's award, the 1LIVE Krone, in the category Best Live Act. In September 2007, the single Lala, a song, which was specially recorded for the movie Leroy, was released. On February 14th in 2008, Clueso represented again the Federal State of Thuringia in Stefan Raab's Bundesvision Song Contest. With his song Keinen Zentimeter, he reached the second place with only one point behind the winner. On May 30 in 2008, his fourth album So sehr dabei and his second single Mitnehm' were released. The third single from this album,Niemand an dich denkt, followed in October 2008.